A folder allows a teacher to display several course resources together. PLEASE NOTE: There are two different ways to complete the next step depending on which view you are in. If you see two separate drop-down boxes, click Add an resource and select Folder. For more information about this option, view Activity Chooser Option. 4. 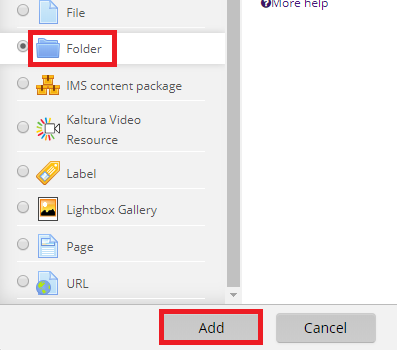 Select Folder under Resources in the left sidebar, then click Add at the bottom. 5. Assign a Name and Description to this folder. 6. Select a file for the Content of the folder. 7. Personalize the folder in the Folder Settings. 8. 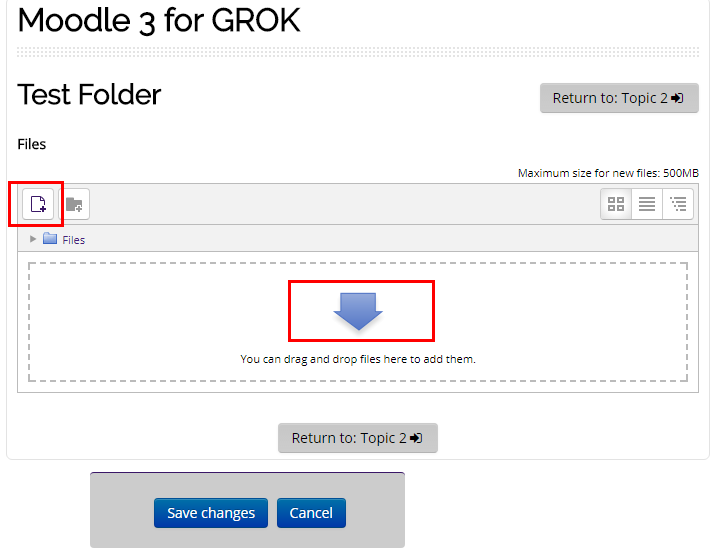 Click Save and return to course when finished, or click Save and display to manage it through the steps below. 1. Navigate to your course and select the Folder you wish to edit. 2. Select the Edit button within the folder. 3. 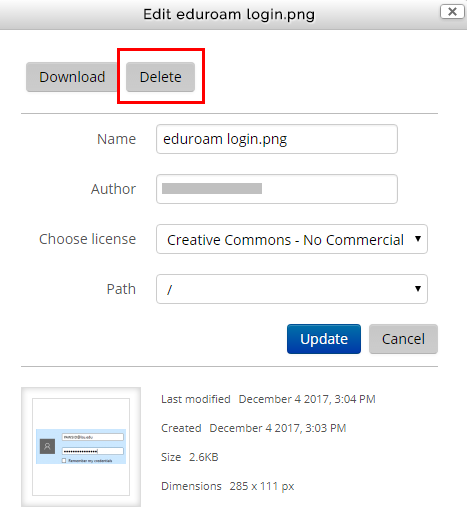 If you have not added files, you will be taken to an upload screen where you can drag and drop your file in the center area, or use the Upload button at the top left to upload files. Click Save Changes at the bottom when done. If you already have files, skip to step 5. 4. Upon uploading, you will be taken back to the folder. Click Edit to add or delete your files. 5. Click on a file to edit it, or add another using the Upload button at the top left. 6. If you wish to delete a file, click on it and it will bring up an editing window. 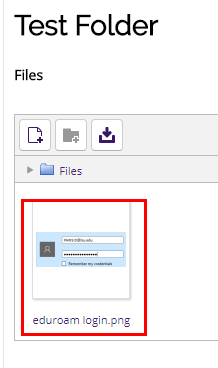 You can view the properties of the file in this window, and you can delete it by clicking Delete at the top left.